Jessica S. submitted this photo and caption. After waiting patiently for weeks, my mom, aunt and I went to see the most exciting part of our summer. 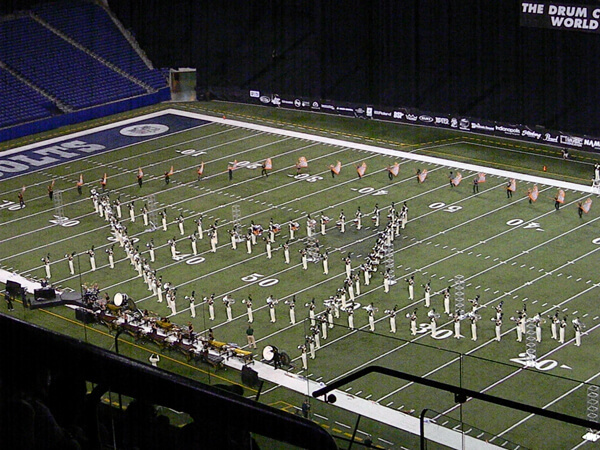 This show by Carolina Crown was my all-time favorite because of their incredible drill and professional brass. They truly rocked the night and made going to DCI Finals spectacular. I can't wait to go to next year's Finals and the next year hope to have made it into the Bluecoats' horn line, so I can entertain fans of the special evening.